An evening with Robert Ashley, presented by Will Holder. 71. work unless they want to. Watching all 7 episodes (30 mins each) of Ashley’s TV opera “Perfect Lives” in a living room, with a break for Lithuanian TV food halfway through. About Will Holder: typographer Will Holder once read that oral tradition would lead us out of the post-modern condition, and has since become preoccupied with “publishing”. The publications do not always take the form of ink and paper, and a large part of the preoccupation is spent in finding suitable ‘forms’ for transmission. He sees conversation as a tool and a model for a mutual and improvised set of production conditions, where design is a responsive moment rather than a desired end, and the usual roles of commissioner, author, subject, editor, and typographer are improvised and shared, as opposed to assigned and pre-determined. 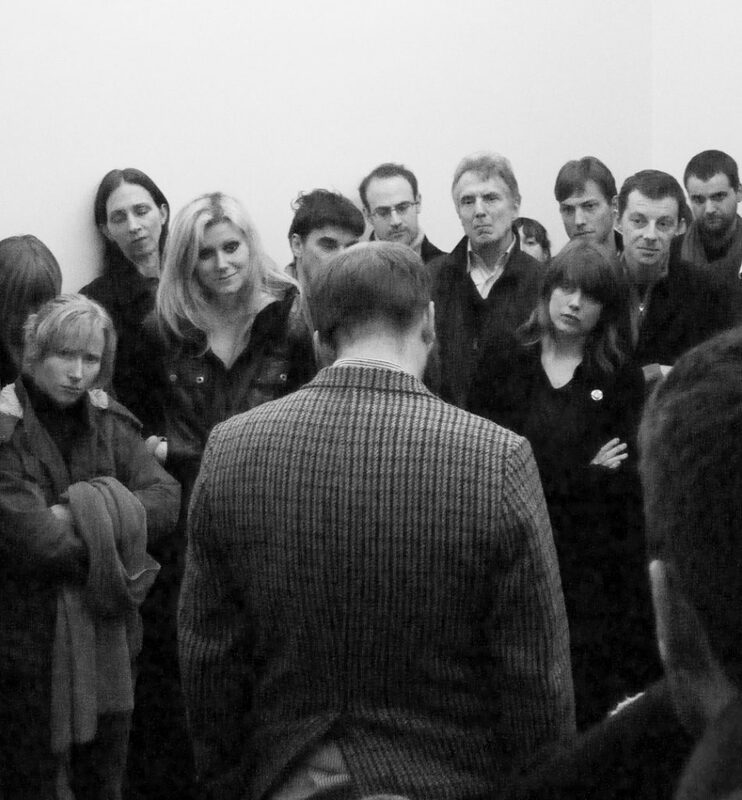 In May 2009, Holder curated “Talk Show” at the ICA, an exhibition and season of events concerning speech and accountability. He is editor of F.R.DAVID, a journal concerned with reading and writing in the arts, published by de Appel, Amsterdam. Together with Alex Waterman, Holder is currently editing and designing a biography of American composer Robert Ashley, for two or more voices (New Documents, Vancouver, 2013). The event will take place in Mediatheque (Meno avilys, Mokytoju namai, Vilniaus g. 39/6, 2nd floor). The event on the November 24 is open to public and the event on the November 25th is open to Rupert’s participants only.